Wander Away, the sixth release from New York City’s Mike Errico, is lush pop-rock that draws comparison to Elbow and Iron and Wine. From the urgent “Ready or Not” to the otherworldly “Everybody Knows,” Errico expands his signature songwriting style with new instrumentation — including dobro, string sections, harmonium, and pedal steel — a varied group of cowriters, and a vocal vulnerability only hinted at previously. In welcoming cowriters for the first time, Errico says, “I think of it as social networking within the artistic process. 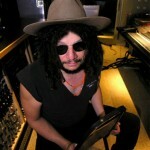 I’ve toured with (Soulive’s) Eric Krasno and Ari Hest, met Raul Midon and (Goldfrapp/Peter Gabriel keyboardist) Angie Pollock through friends, and worked with (Grammy-winning producer) Ben Mink before. Together, we went places I wouldn’t have thought of on my own. And,” he adds, “it was a lot of fun.” Errico also showcases his skill as a guitarist in an intricate arrangement of the Tom Waits classic, “Johnsburg, Illinois.” “The song has such an aching quality to it, and I just needed to arrange it, so I’d always have it with me,” Errico says. For Wander Away, Errico reunited with producer Ken Rich at Grand Street Recording. “Ken and I go way back,” he says. “I have always respected his naturalistic approach, and felt it would be a great match for the songs I was writing. 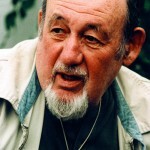 We both introduced fantastic musicians to the mix, and he kept me open to choices that made me vulnerable and were deeper as a result.” Together, they reached back into Errico’s catalogue, rearranging “1000 Miles” and “Someday” and orchestrating “You Could Be Anywhere” and “Count to Ten,” songs that were originally released as solo performances. 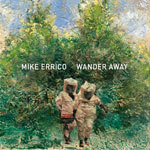 Concurrent with the release of Wander Away, Errico has launched The Mike Errico Podcast, which includes live takes, stories, and interviews with the many people that influenced the new release. 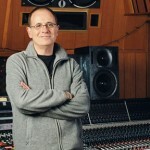 The podcast is available for free on iTunes and his own Web site, www.errico.com.